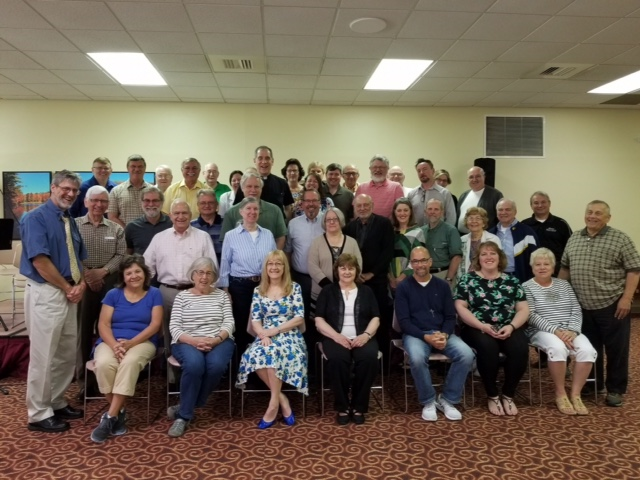 The Office of the Permanent Diaconate prepares the candidate during his process toward ordination and helps coordinate ongoing formation and assignments after ordination. The ordained deacon is essential to the liturgical and social life of the Diocesan Church. 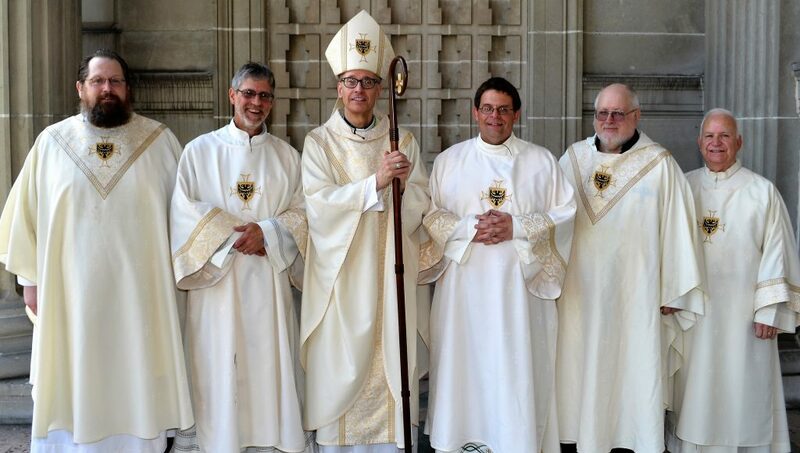 Who do you know who is hearing the call to serve the Lord in the Church as a Permanent Deacon . . . maybe you? God continues to call men between the ages of 32 and 59 to participate in service ministry to God’s people in the Diaconate. Canidates Jerry Nevling and Allan Duman received the Ministry of Acolyte at a Mass celebrated October 13, 2018 at St. Mary, Hollidaysburg. Jerry and his wife Lori are members of SS. Peter and Paul, Philipsburg. Allan and his wife Joanna are members of St. Mary, Hollidaysburg. Continued blessings to the candidates, their wives, and their families. 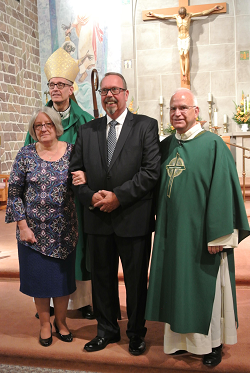 The Diaconate community of Altoona-Johnstown is welcoming a new candidate. Bishop Mark formally accepted Mark Komula as a candidate for the Permanent Diaconate during a Mass on September 29 at Saint Peter Parish in Somerset – Komula’s parish. Mark and his wife, Janis, are the parents of two adult children. Komula is in case management with the Bedford-Somerset Developmental and Behavioral Health Services. Our prayerful best wishes to him on his formation journey. 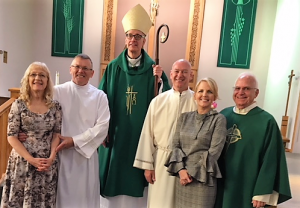 Bishop Mark ordained Christopher Conner and John Roth to the Permanent Diaconate on May 26 at the Cathedral of the Blessed Sacrament in Altoona. 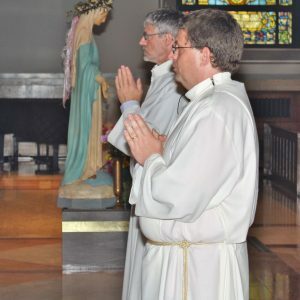 Deacon Christopher is a member of Saint Bernard Parish in Hastings and Deacon John is a member of Most Holy Trinity Parish in Huntingdon. The Bishop has appointed both men to Diaconal Service at their respective parishes. Bishop Mark in the his homily noted that The Order of Deacon is inseparable oriented toward the ministry of the word and the ministry of service. Deacon Chris and Deacon John: Congratulations on your ordination. We pray that God will bless you as you begin your ministry as a deacon. 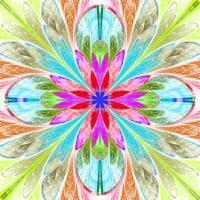 May the Holy Spirit shine on you as you serve the community of God’s people. These courses offer an excellent opportunity for ongoing formation and all costs are covered by the Diaconate. Please note that a registration form still needs to be filled out and submitted to The Office of Lay Ecclesial Ministry prior to the start of the class.